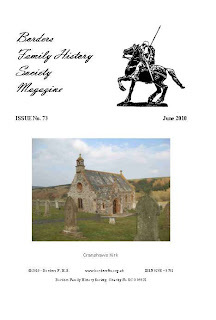 This is the first issue produced by our new editor, Ronald Morrison. The covers are printed on yellow ('old gold') paper, but I've used a white background for contrast. 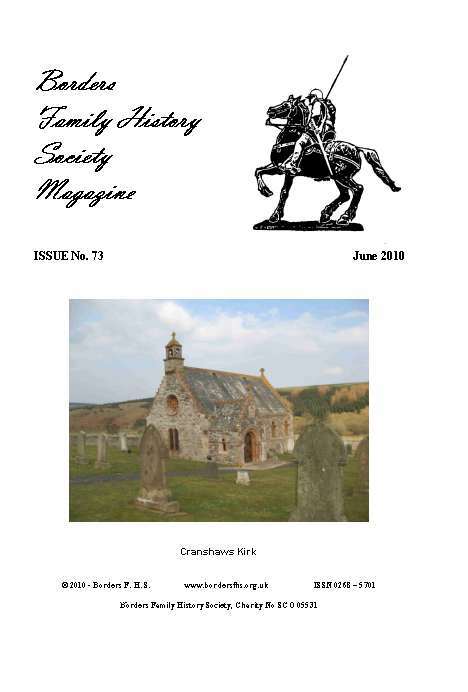 Contents include the Diary of James Alexander Sligh aged 18, the Chisholm Highland connection, and Maxwellheugh Cottage, notes on Longformacus. using the contact type 'Contact the Magazine Editor' on our Contacts page.